Josh: We’re a family again. Nothing is going to bother us anymore. I promise. 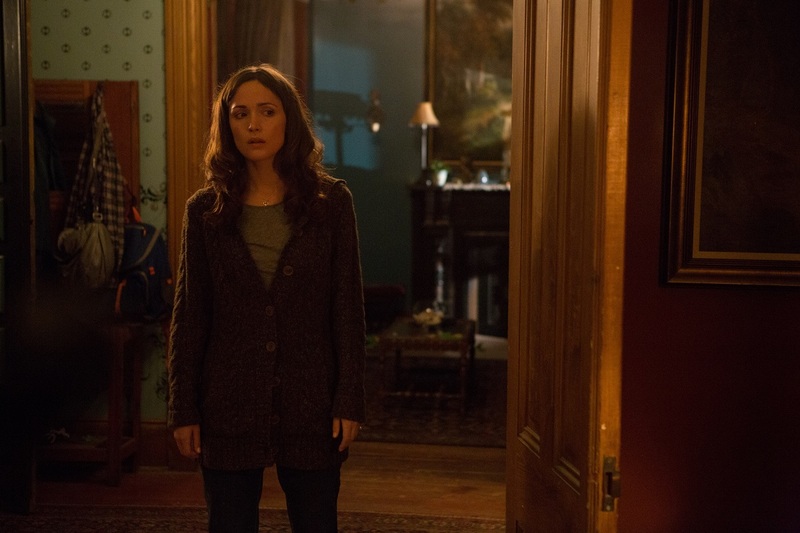 It stands to reason that Insidious Chapter 2 exists. The first film became a sleeper hit, as director James Wan and writer Leigh Whannel (the creators of Saw) combined forces with the producers of Paranormal Activity, Oren Peli and Jason Blum, to make a sufficiently scary horror film. Insidious was a spooky film that twisted around a standard haunted house story, by involving astral projection. It was made on the cheap, but put Wan’s directorial talents to good use, as he and his crew were able to make an effective horror film, with lots of emphasis on deliberate camera work and sound design. 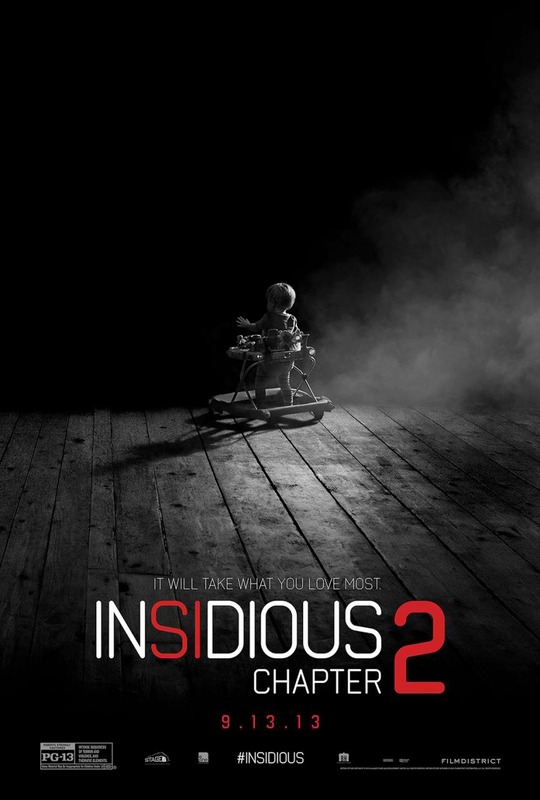 Now, while James Wan’s other horror film from this year, The Conjuring, is still earning revenue in theaters, Insidious Chapter 2 sets its sights on bringing audiences back into the Further. I only wish the film did not feel so misguided. Picking up a day after the events of the first film, the Lambert family has only just begun to deal with big issues. 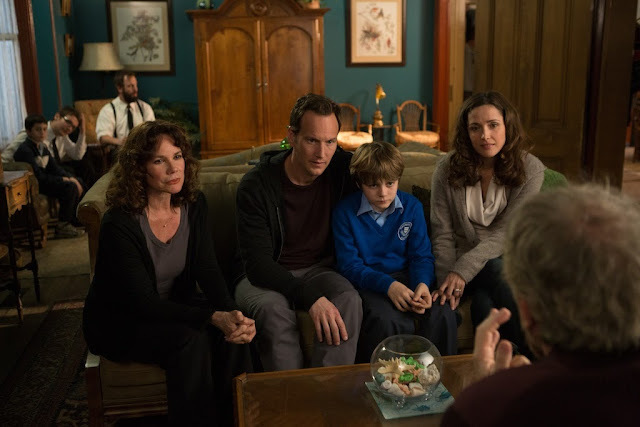 Josh and Renai (Patrick Wilson and Rose Byrne) have their son, Dalton (Ty Sympkins), back, but something else has come back too, and it is likely inside of Josh. 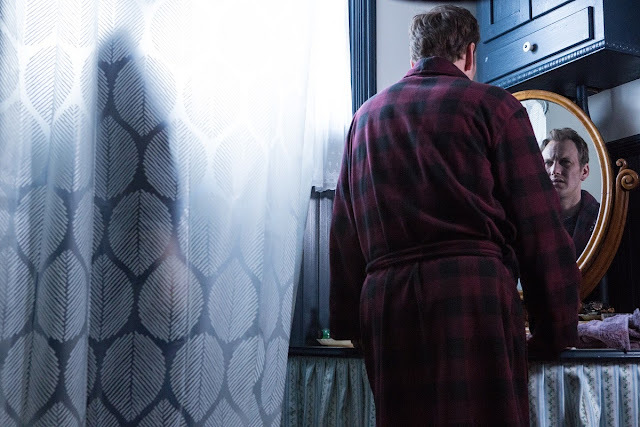 As a reminder, Insidious introduced us to the idea that some people can connect to the spirit world, while they are asleep. Unfortunately, sometimes those spirits are evil and want to escape. Dalton was victim of this last time around, but he was saved. Now it seems that Josh has fallen victim, as he is acting quite differently around everyone else. 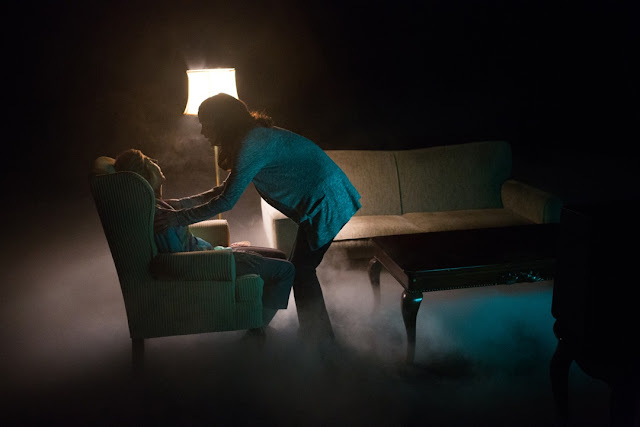 During this time, as the Lamberts are currently staying at Josh’s mother, Lorraine’s (Barbara Hershey) house, Renai is still hearing noises and seeing scary people stalking around her and her children. What can she do to stop it? That is the question that this movie presents and it does find a clever way to continue the story. Unfortunately, things are all over the place, while attempting to tell that story. While the first film gave you a sense of dread, as certain experiences were all new to the viewer, it also knew how to break the tension at a certain point, before putting you right back into the scare zone. 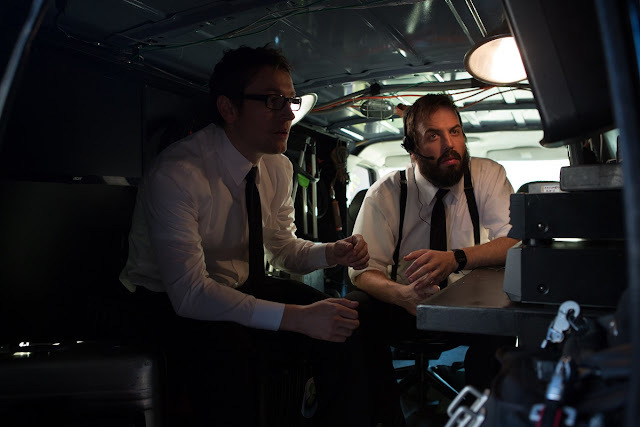 It built up the characters effectively enough, but remained an entertaining movie as well. This film retreads a lot of the same types of scares, but also amps up the humor. This is not necessarily a bad thing, except during the many (many) times when the humor feels very unintentional. There are certain filmmaking choices made that make the film incredibly hard to take seriously. Reveals happen that should be seen as frightening or as a good tension builder, but instead feel laughable. On top of this, outside the basic idea of the sequel, the actual storytelling is pretty loose, in favor of having excuses for paranormal exploring. Watching this film basically amounts to a few things in terms of plotting: It feeds us a lot of information we already knew back at us, with the addition of flashbacks to really visualize certain scenarios, we get to see Rose Byrne freak out a lot, and we get to watch some amateur ghostbusters go from one spooky location to another, in an effort to solve a mystery. While we don’t get to see Fred from Scooby Doo exclaim, “It was the creepy old man from the abandoned hospital,” the film is certainly happiest when it dives into these spooky locations or back into the Further. It really is the concept of the Further and astral projection that makes this series interesting to me, and Wan and Whannel certainly seem to think that too, as they introduce some very clever new rules and ideas surrounding this mysterious plane where the spirits exist. Unfortunately the film decides to show us these new ideas far too late into the movie. 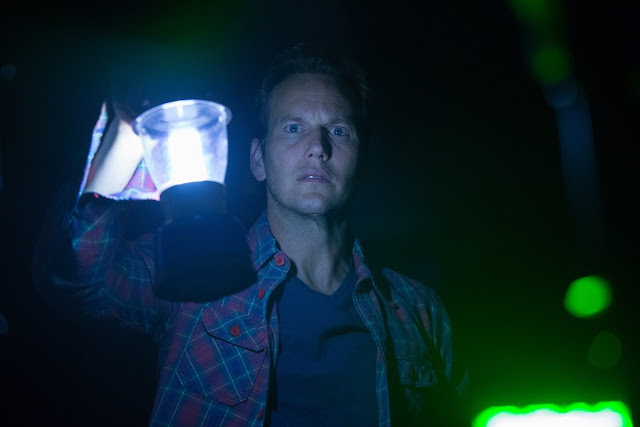 I can understandable see why more of the Further isn’t shown, despite being somewhat cheap to accomplish, as it mostly involves dimming the lights in previously established locations or filming in a dark room, but the movie could have used more of this and less of Patrick Wilson being framed to seem imposing, but ending up being laughable. Leigh Whannel’s screenplay is really not up to the task of delivering this time around. While he and Wan have certainly developed a fitting concept to base the story around, it does not allow these characters to really excel at selling the drama of their situation. I have already spoken of Wilson, but poor Rose Byrne has nothing but panic to try and sell, despite how little this accomplishes for her, since no one wants to take her seriously, despite dealing with a similar situation just one day prior. Additionally, Steve Coulter may be a nice new addition to the cast as Carl, a man who helped Josh, when he was younger, but the actors in the flashbacks, particularly Lindsay Seim as a younger version of Elaine (the paranormal investigator, played as an adult by Lin Shaye) are giving distractingly bad lines of dialogue. 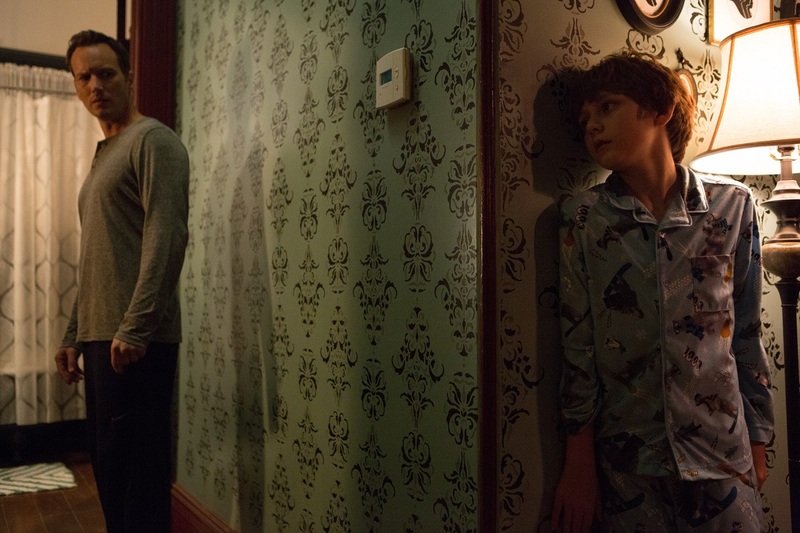 Fortunately sound design continues to be one of the great strengths of Insidious. The first film accomplished this as well, but Chapter 2 does not lessen the impact that harsh sound effects can have on a film. Yes, there are many ‘boo scares’ in this film, as we are presented with a situation, watch a character investigate, and have a loud thud of some kind occur; but these are mostly well-earned. The tension is established (in the scenes that work best) and the payoff is there. This notion works for a horror film. Additionally, Joseph Bishara does well with the film’s score, as he keeps up the type of mood that was largely effective the first time around, even if the tone of this film is too far gone to really save it. 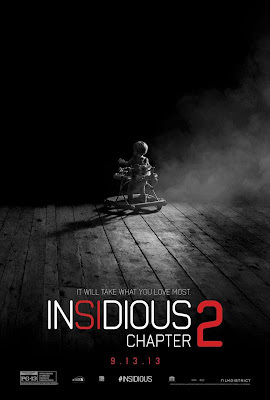 While Insidious Chapter 2 had some clever ideas to theoretically deliver on being a worthy follow up, the issues are clear. The film may be clever in its camera work and have great sound design fitting for a horror film, but the tone is too all over the place. Additionally, the dialogue ranges from too expositional to really just plain bad. The final product does not necessarily feel like an obligation for everyone to have come back to, but it does feel underwhelming overall. While I was excited to step back into the further, after exiting the film, I was happier to get further and further away. Dalton: Is there something wrong with Daddy, Mom?